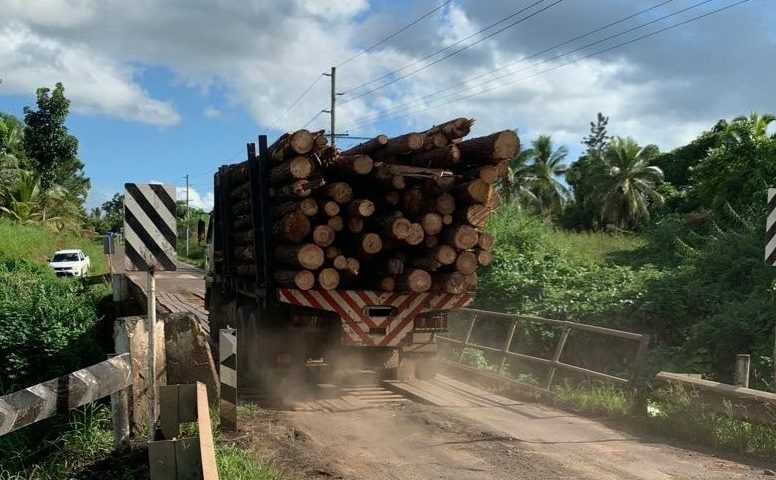 Fiji Roads Authority (FRA) Chief Executive Officer Jonathan Moore says they are extremely concerned at the flagrant disregard for weight limits on bridges around Fiji. “In several locations specific weight restrictions have been stated against specific bridge because these bridges are in a deteriorated condition and there is a serious risk that they could be further damaged, or even collapse, if overloading continues unabated,” Mr Moore said. He said such deteriorated bridges, in 16 locations around Fiji, were due for complete replacement over the next 18 months, but in spite of this load control must be observed right up to their last day of service. Mr Moore said the specific examples in the photographs come from Vanua Levu, at Vesidrua, and they were currently in a position where they may have to close this bridge, and two others, along the Nabouwalu-Labasa Road. This, he said, would clearly have a very serious knock-on effect and they were resisting the proposal unless it becomes an imperative.